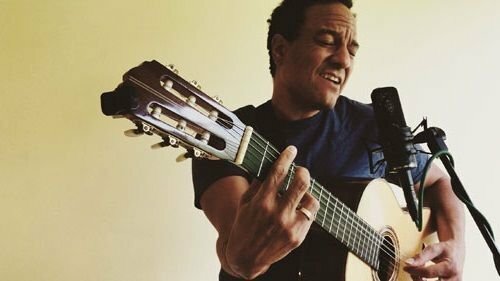 YOHAM ORTIZ - Boston GreenFest - Aug. 16-18, 2019 - FREE! Working and traveling as a musician to big cities like New York, where many different cultures converge, has exposed and compelled YOHAM to learn about an array of musical styles. He is keenly concerned about the environment and he conveys his message in such unique ways. Cultural diversity has played a major role in shaping Yoham's composer mind. He seeks to transcend the listener to the magic of experiencing such diversity as if the listener were experiencing the colors on a traditional Inca skirt, or the smell of Cilantro in a bowl of Beans. For example, “Carabine del Emigrante” (The Emigrant’s Carabine) fuses the Dominican Carabine style, with the Progressive Rock trio style, while “Resoluciones” brings together the Cuban Guaguanco, the soft spacey sounds of New Age, and the pulsating rhythms of Afro-beat. Other compositions feel more traditional like the Brazilian Jazz piece “Tres Viejos,” while the choral piece “Welcome Little Star” combines the styles of Classical New Music with Jazz inspired harmony. Click HERE to learn more about YOHAM ORTIZ.